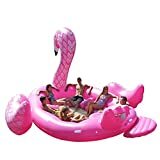 This summer, when you want to float around on the lake or in a really massive swimming pool, then do it as epically as possible upon one of these cool new Sun Pleasure Party Bird Islands. 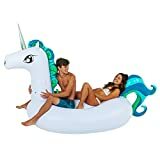 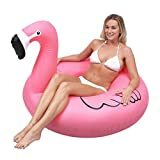 These towering inflatable island rafts are styled after a peacock, flamingo, or unicorn, have a six person capacity or up to 1320 lbs, and include six cupholders and a built-in cooler. 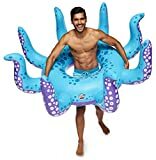 Way cooler than hanging onto one of those floaty pool noodles.